Dinosaur Comics - October 3rd, 2016 - awesome fun times! October 3rd, 2016: Sorry if this comic was TOO SPOOKY!!! 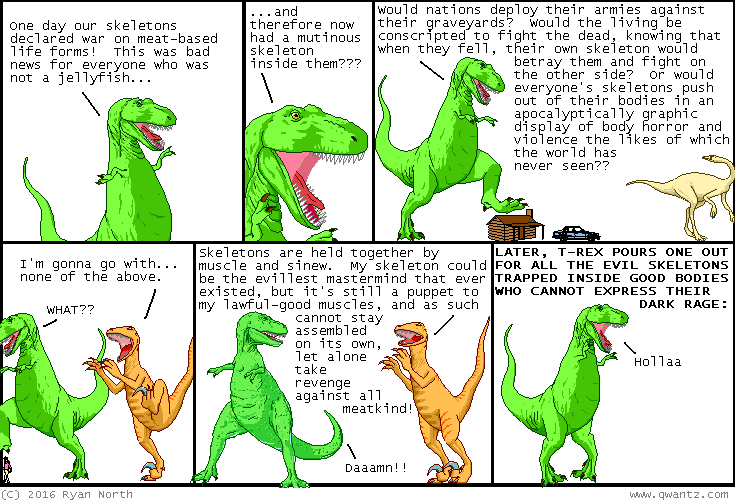 I guess terror really does stalk us all, even here on dinosaur comics dot com!